In case you hadn’t heard, Marvel are going ahead with their next big initiative in but a few months, relaunching many of their marquee titles under the “Fresh Start” banner. No doubt capitalizing on some of this year’s biggest blockbuster films, we’ve already learned that books such as Avengers, Venom, Thor and Black Panther will be rolling back to #1 in order to provide accessible jumping on points, to name but a few. Of course, it was only a matter of time before the Marvel Cinematic Universe’s golden boy joined the party as well, once again being granted his own series in the form of Tony Stark: Iron Man. Introspective as it sounds – and it probably will be – it makes sense to actually put Tony’s name in the title and begin anew because we’ve seen the likes of Riri Williams and even Victor Von Doom under the helmet in recent years. But, if you required more incentive to pick up the book, it looks like there could very well be a shakeup in Tony’s love life. To be honest, it’s hard to call her a “new” love interest, but it’s been so long since Bethany Cabe’s been around. In fact, she’s been absent from Marvel continuity proper since 2012. Now, if you’re a True Believer who’s been doing this dance for some time, then you’d know of how Tony and Bethany have been on and off for decades, but this could very well seem like new territory for curious readers who are more familiar with the movies and think of Shellhead spending his evenings with Pepper Potts. Either way, her inclusion could add more depth to the new series. Tony Stark: Iron Man #1 arrives in comic shops on June 20. 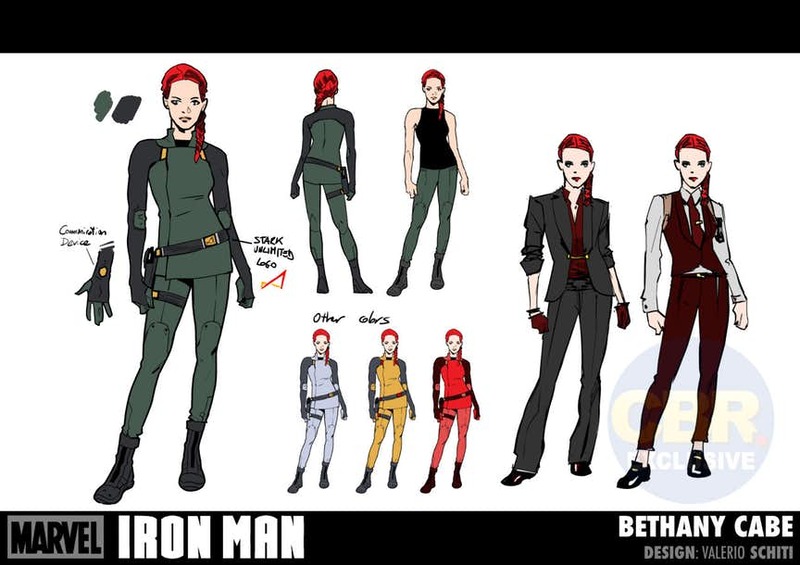 In the meantime, be sure to check out the above concept art by way of artist Valerio Schiti to see how Bethany may appear.